STEAMTechTeams is a group of volunteers who work to support STEAM (Science. Technology, Engineering, Art and Math) programs in the schools located in the Greenville, South Carolina metropolitan area. Most of our volunteers are retired professionals active in the Osher Lifelong Learning Institute (OLLI) at Furman University. into the classroom. In addition to the expertise derived from offering the programs at a number of schools, we bring various tools and supplies that are not normally available at the schools. illustrations, project bills of material and budgets can be downloaded from our website. We are affiliated with the SC Upstate STEM Collaborative and IT2Pi organizations in the Greenville Area. 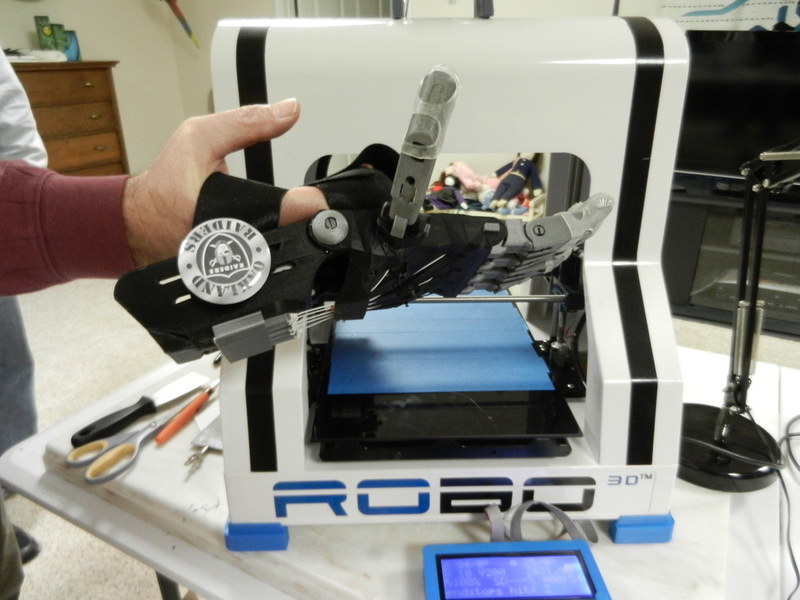 In the fall of 2014 six retired men with backgrounds in science, manufacturing and engineering from various fields, all students in the OLLI (Osher Life Long Learning) program at Furman University in Travelers Rest, SC, got together and decided to purchase a Robo 3D printer. All fall they learned the workings and quirks of the printer and after much trial and error got it running consistently. Reid Becker introduced the group to enablingthefuture.org, a volunteer organization. e–NABLING is a worldwide movement of tinkerers, engineers, 3D print enthusiasts, occupational therapists, university professors, designers, parents, families, artists, students, teachers and people who just want to make a difference by printing on 3D printers hands that they give for free to children all over the world. Volunteers range from boy and girl scout groups, high school and college students to retired people. The e-NABLING group matches up children with volunteers who will be making the hand. This year over 700 hands were created by over 3200 Volunteers around the globe. The hands are provided free of charge to the children. These six retired senior citizens from the Greenville SC area completed their first hand on January 2015 and sent it to an 8 year old boy in Kansas City, Missouri. This young man is a huge Oakland Raiders fan and requested that his hand be made in the colors of the team. It has been a project filled with satisfaction over what they have learned and even more what they will be able to provide to this boy they have never met. This group looks forward to building many more hands. Learn more about the individual members of our team.